Peter Lawrence, Non-Executive Chairman of ECO Animal Health Group plc, commented “India is ranked second with just over 5 per cent of the world’s laying birds and although the market is somewhat fragmented, we expect this to change in the future. This latest approval demonstrates ECO’s continued progress in rolling out this indication for commercial layers”. 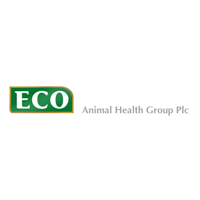 ECO Animal Health Group plc (LON:EAH) today announced that its subsidiary ECO Animal Health Limited (ECO) has received a marketing authorisation from the Central Drugs Standard Control Organisation, Ministry of Health & Family Welfare of the Government of India for the use of Aivlosin® 625 mg/g water soluble granules in chickens laying eggs for human consumption. This approval allows ECO to start selling Aivlosin® in India for the medication of drinking water for the treatment of infections caused by Mycoplasma in poultry laying eggs for human consumption, with a zero day drug withdrawal period for eggs. Aivlosin®, ECO’s patented antimicrobial, is used under veterinary prescription for the treatment of a variety of economically important respiratory and enteric (gut) diseases in poultry and pigs.